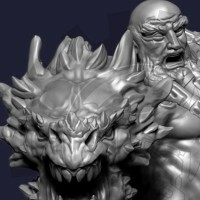 A Canadian based boutique studio for 3D character design, and art for miniature tabletop games and board games. Countess Carmilla WIP, final days bundle deals! No Comments on Countess Carmilla WIP, final days bundle deals! Arcane Factories Kickstarter: More Death – A Tribute. No Comments on Arcane Factories Kickstarter: More Death – A Tribute. Arcane Factories Kickstarter Goal Reached – Bundle Deals and Unlocks! No Comments on Arcane Factories Kickstarter Goal Reached – Bundle Deals and Unlocks! Arcane Factories – the Redemption Engine takes form! No Comments on Arcane Factories – the Redemption Engine takes form! Arcane Factories Dragon Monk Preview! No Comments on Arcane Factories Dragon Monk Preview! No Comments on Arcane Factories Kickstarter Launches!